Over the next few years the industry will see explosive growth in virtualization, effectively untethering many workloads from their underlying hardware. Free from their bonds to physical servers, enterprise IT organizations now have a choice: stay with a single physical machine, move to a virtual infrastructure, deploy on an internal cloud, or leverage the incredible potential of public clouds. Making this choice is often difficult, and requires careful evaluation of the options and consequences. We will discuss what each of these options means, the risks and benefits to each, and current market trends. 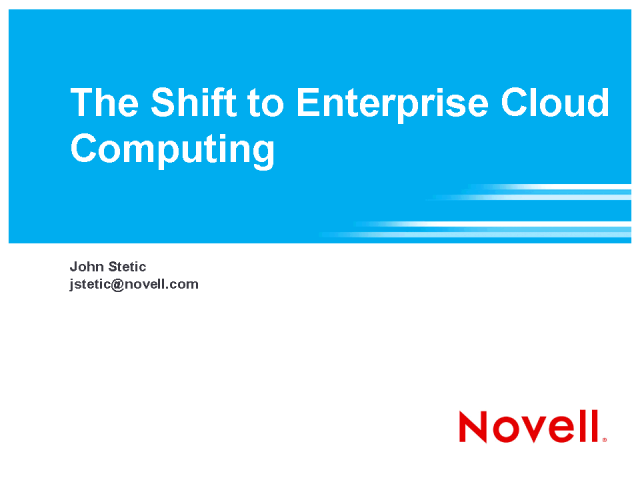 We will also consider how the market for cloud computing is evolving, and what the near-term and long-term future may hold for enterprise IT.